A pretty little lidded bowl, from the Premier Christmas Collection. 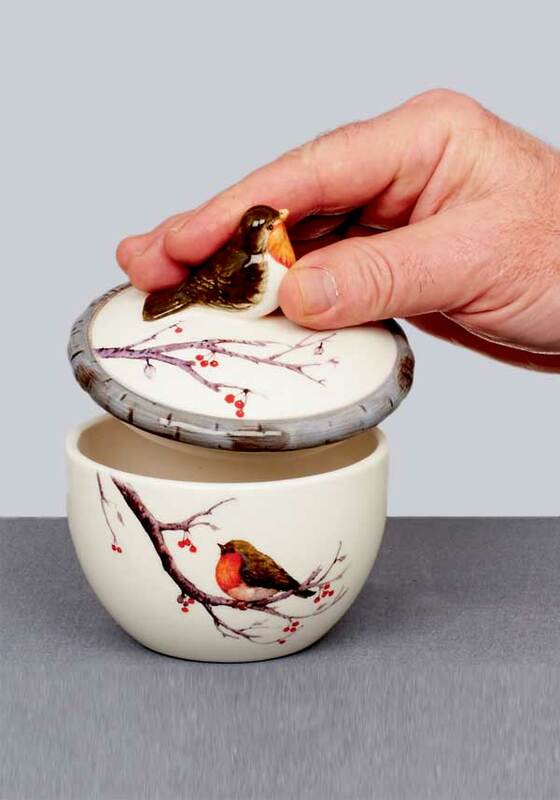 In dolomite, this glazed bowl features a little robin perched on the lid, as a handle. 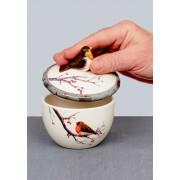 Finished to the highest quality, it’s the perfect Christmas trinket box, or use it for festive pot pourri.